Cumberland is a simple yet flavorful Tomme-style natural rind cheese. Fruity and earthy with notes of sweet hay, its versatility and approachable flavor make it equally at home in the kitchen and on the table. Nickajack is a toothsome sliceable cheese with a meaty savory paste. Washed for its entire aging with hard cider, its aromatic edible rind varies from golden brown to orange-red. 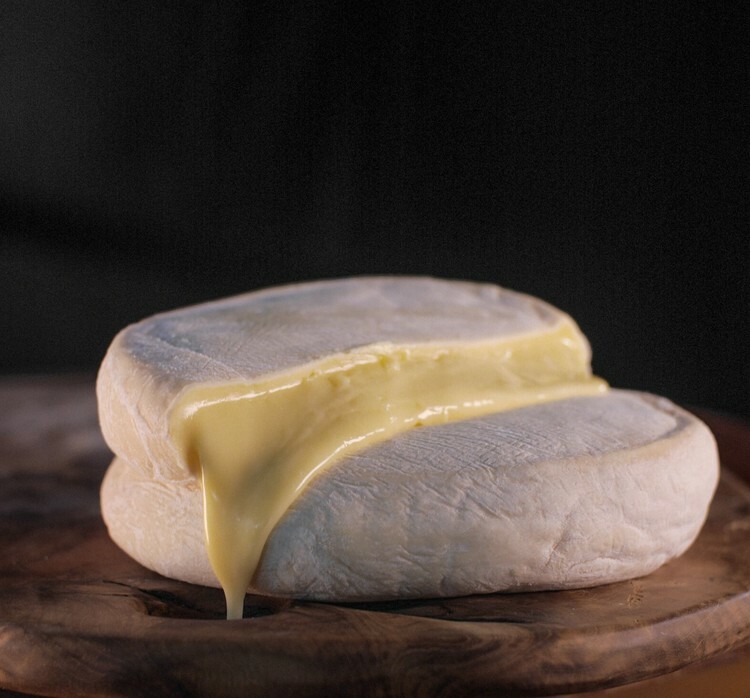 Coppinger is a semi-soft washed rind cheese with a striking layer of decorative vegetable ash in its center. The velvety elastic paste is savory with notes of fresh grass and smoked meats, making it ideal for the cheese plate or melted into any dish. An ode to all things Southern, Shakerag is a crumbly yet dense blue-veined cheese cloaked in local fig leaves which have been soaked in Chattanooga Whiskey, the first legal whiskey being distilled in the city since Prohibition. Its sweet and fruity interior is reminiscent of root beer, and lends itself to more savory notes of bacon and dark chocolate towards the rind. Bellamy Blue’s rind is hand-rubbed with a modest amount of Alderwood smoked sea salt. The amount of smoke is subtle, giving Bellamy a savory profile of cured salami and burgers on a charcoal grill. Nathan began working in the vegetable gardens of Sequatchie Cove Farm in 2003, with Padgett soon to follow. 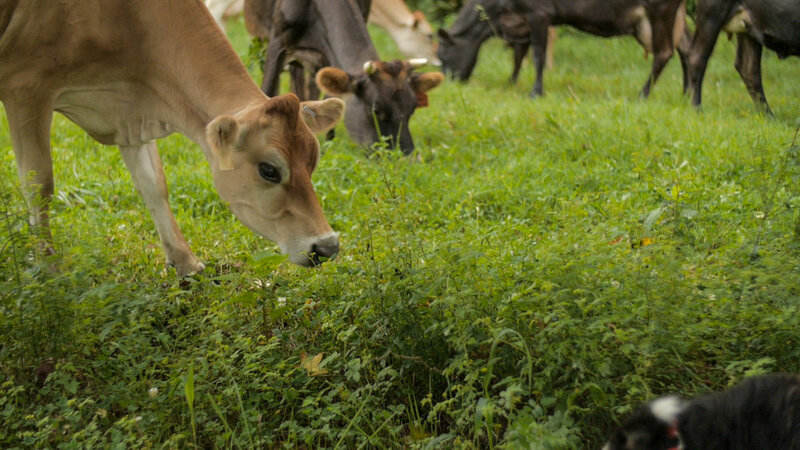 Vegetable farming gradually transitioned into animal husbandry, and the dream of cheese-making took hold. As with so many cheese-makers, Nathan first began experimenting in his own kitchen. French cheeses of the Savoie region quickly became the muse for the first few cheeses Nathan entertained making. A hobby turned passion, Sequatchie Cove Creamery went from dream to reality in March of 2010. 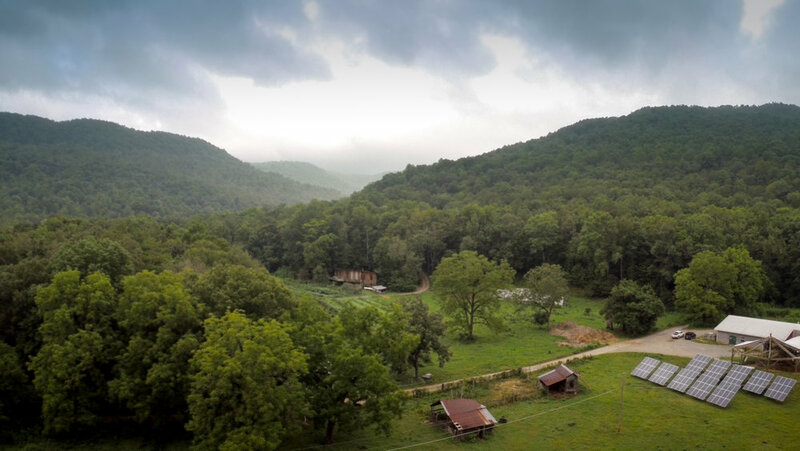 Sequatchie is 100% solar powered and strives to be as sustainable as possible. Their biggest waste product, whey, is fed to Sequatchie Cove's pigs.